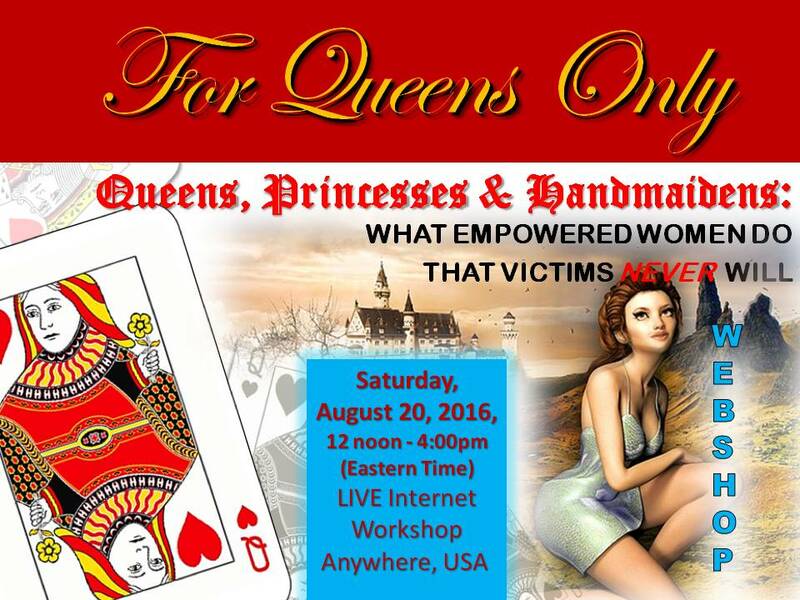 For Queens Only Webshop is the brainchild of Suzette Vearnon and Alicia Randolph. It provides the right next step after the You Asked? Good Men Answered! Virtual Summit in that it takes what they have learned about men from the summit and applies it to their dating and relating practices. The prerequisite is Preparing Queens for A Royal Relationship conducted by Alicia Randolph. The culmination is the actual webshop where attendees leave with their own Relationship Plan.